You know those comedians that always open up their show with a lead in like ‘Do you know those (insert your group of people, typically some group we can all relate to) who always do….’ just to get you to laugh right off the bat? OK, that’s my opening line at open mike night. No, I have never done it but I have played a comedian in my own, real life. Typically, you will not get straight answers from me. Ask my mother and she will tell you the same thing. I just can’t give up this idea that life should be fun. So, when you read this list, know I do it tongue-in-cheek. I got this from G’s blog, Nouveau Cheap. Man, this is my favorite-est blog. There’s something about knowing about products before they hit the shelves that makes me feel like an ‘insider.’ G helps fulfill that. Wanna be in the know too? Check out her fab blog here. I was called ‘Kim’ when I was a kid. Grandma called me ‘Kimmy’ and she was the only one that did. I have to make my bed every day in order for my day to feel orderly. I had a phobia about needles. I used hypnosis to get over it. I have agoraphobia and I have to use a lot of mental tricks on that one. Plus, it’s important for me to not go too long without leaving the house. I got to see Kansas perform at the Ryman Auditorium at Opryland when I lived in Nashville. I was in Wolf Creek Pass, Colorado and went into a boutique. They had some wickedly, awesome clothes; I loved them. And then I saw these boots that were to die for. I said out loud, ‘These boots look like something Stevie Nicks would wear.’ The shop owner said that Stevie used to come in there to shop when she visited her aunt, who lived outside the town. Oh, my eyes did light up! Unfortunately, I was too broke to buy the boots but 10 years later, I still want them. Blow-hards. Rudeness. People that will not own up to their responsibilities. I like to sleep on the side closest to the door. However, my hubs ‘has’ to sleep on the left side. I’m banished to the right side. Preferably, I like to sleep alone so sides don’t matter. Mom said I had a panda bear but my brother got it when he came along. I do remember a yellow bunny but it had a hard, plastic face. Still liked it. Venti soy no-water chai. With 3 pumps of pumpkin during the Fall and Winter. Wanna know another story to tie in with the Stevie Nick one? Good, cuz I’m gonna tell ya. That same time I was in Wolf Creek Pass, I went into a tea shop. I had never heard of chai tea before. The owner brewed me up some and I was in love it right there and then. 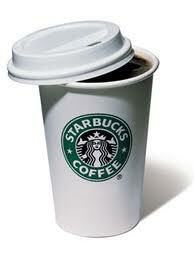 I never have drank coffee, but Starbucks chai tea makes the world ‘right’ for me. I love horror movies; I face the door or curtain. I wear jammies, for real. I wear matching sets and most of the time it’s a tank top with shorts. Did you just read all of this? Then ‘TAG! !’ You are it!!! This entry was posted in tag by kimberlyp. Bookmark the permalink.